A great end to a long, hot, stressful week. 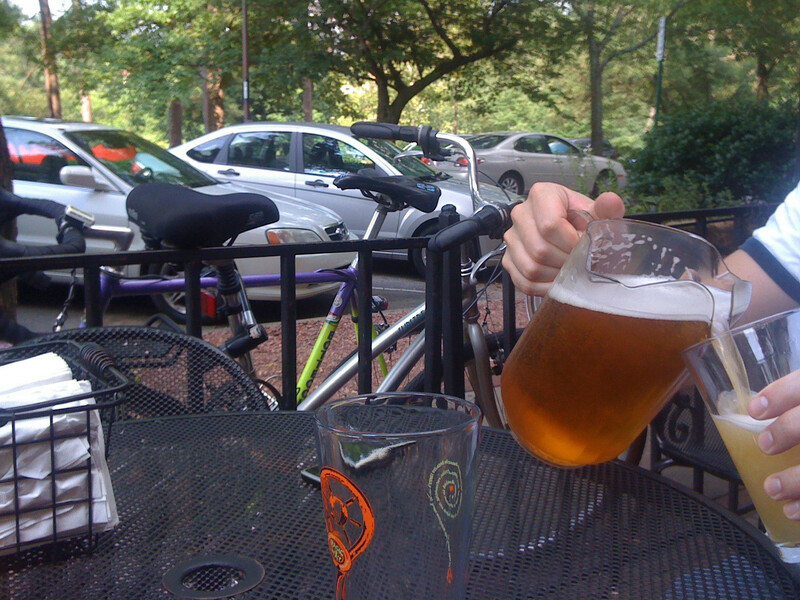 Jonathan and I took a quick ride (me on Freddy, him on Sweaty Betty) to Rojo for a quick beer before he leaves town for a week and I begin a long weekend. Gee, I’m torn. I love the picture of the beer being poured (mmmm). But I also would like to see a better pic of the bike! Sounds like a nice ride. Hope your long weekend went well. An outside beer is the best way to end the weekend.